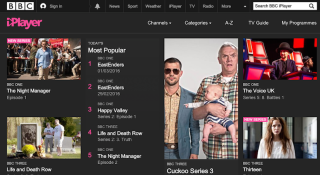 BBC given the go-ahead to end free viewing on iPlayer | What Hi-Fi? Those without a licence fee will soon be prevented from watching catch-up TV on iPlayer for free, says culture secretary John Whittingdale. Speaking at the Oxford Media Convention, Whittingdale told delegates he would bring forward the necessary legislation in the current parliamentary session. The licence fee will be extended to cover more than just those watching conventional TVs. At the moment only UK TV licence holders can use the iPlayer to watch live BBC broadcasts, but anyone without a licence can still view the shows later on catch-up. Whittingdale said: "Having discussed this with the BBC and the BBC Trust, I will be bringing forward, as soon as practicable, secondary legislation which will extend the current TV licensing regime, not only to cover those watching the BBC live but also those watching the BBC on catch-up through the iPlayer." The culture secrtary added: "Giving a free ride to those who enjoy Sherlock or Bake Off an hour, a day or a week after they were broadcast was never intended and is wrong." A spokeswoman for the BBC said: "We are happy to have reached an agreement with the Secretary of State on how to close the iPlayer loophole. Its swift closure will help give the BBC funding certainty."